As Galénic declares in its communication, Secret d’Excellence is a concentrated serum to love your age at any age. The fluid serum is of an immaculate white colour, ultra-fine like a snowflake with a discreet floral bouquet of lily of the valley, rose and blackcurrant. It contains a truly concentrated injection of active ingredients which acts to smooth away wrinkles, moisturize the skin, even the complexion and refine skin texture with a luminous radiance. 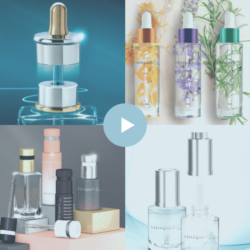 Secret d’Excellence High Concentrated Serum is the latest addition to Galénic’s line of new generation serums, increasing the size of the range. Formulated with Snow Algae, a unique active ingredient with the power to stimulate the mechanisms that preserve the youthfulness of the skin. To ensure the full effectiveness of the Snow Algae, Galénic’s master formulator developed a custom galenic structure called Cristal Fusion. To ensure that this highly concentration formulation is applied in the precise area at the most precise dosage, Galénic once again trusted in Virospack for its package. Secret d’Excellence is presented in a full pack that is developed, manufactured and decorated by The Dropper Company. The product is presented in a high quality 30ml moulded glass bottle, painted in opaque white and decorated with a screen printing technique in two colours. 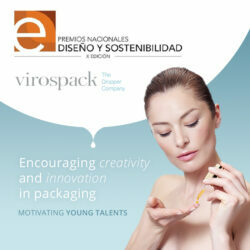 It is complemented by an autofill dropper, patented and developed by Virospack. The high-tech push button dropper providing easy and precise dosage is finished with a metal shell decoration for a premium cosmeceutical finish.